-Will these bots be added to the crystal pool when they're done? 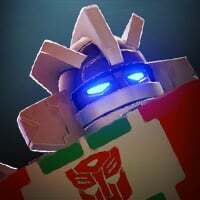 -Are OG Prime and Ratchet still considered "unreleased" since they were a special offer? Or do we still have a chance to see them in an offer? I'm still hoarding chips. -Since everyone got a BayBee last month is he still considered a special? Wouldn't mind duping him, or an awakening program being offered. I used my last awakening program on Green Bee. Hey @DrShotgun, got some answers for you! The bots will be added to the Crystal Pool eventually, but not right after they are done here. It could still be a while, but they'll make it there eventually! We still consider them "unreleased" and there's a high chance that they'll be featured bots in the future! For the last one, I'm copying and pasting exactly what I was told, because I want you to see somebody call Bumblebee their Boo. "BayBee will always be my Boo. He will still be special in the sense that we will probably limit him only to Bee related events; we've no current plans to make him more accessible outside of Bee events." So does that mean green bee could be added to the basic pool? 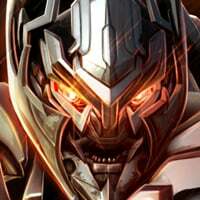 So in 2 or 3 months from now bludgeon, motormaster and jazz will be added to 5* pool, or when it gets to 2 bots per class like usual? I’m guessing longer, but yeah.